Magic Candles is a new unique product that allows identifying the current market phase (uptrend, downtrend or flat). 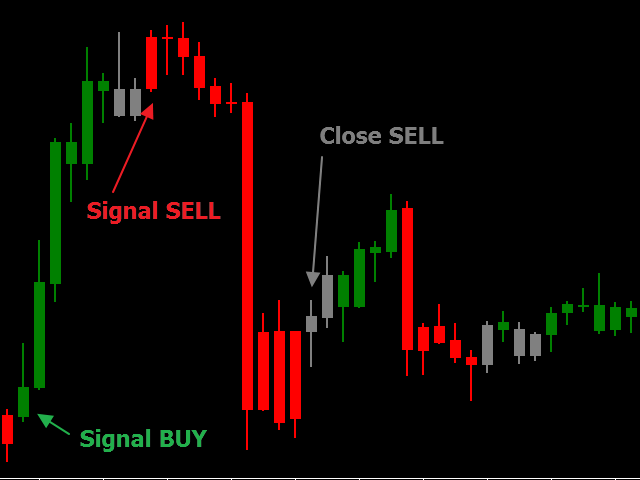 This indicator paints bars in different colors depending on the current state of the market and signals the user about trend changes with alerts. Magic Candles is perfect for trading currencies (including cryptocurrencies) and binary options. Magic Candles is another product of the Magic series: Magic Arrow, Magic Histogram. Suitable for scalping and intraday trading. Simple indicator setup, minimum parameters. Works on any financial instruments and markets. When the last candle's color changes from gray to red, open a sell order (see screenshot #1). When the candle color changes from gray to green, open a buy order. When a gray bar appears, close the open orders, as the flat is expected. Zone BUY - color of buy candles (green by default). 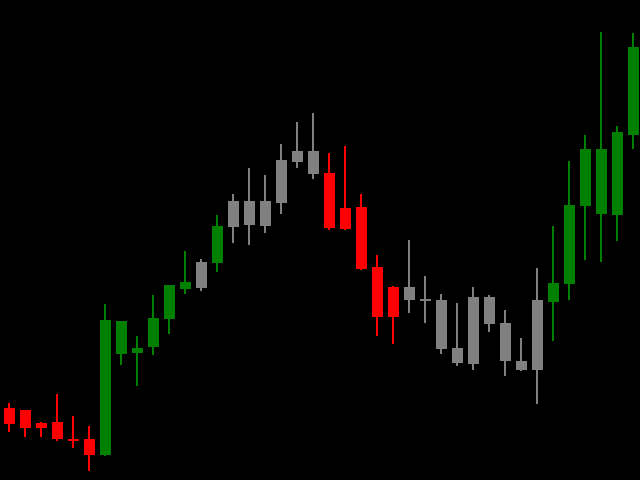 Zone SELL - color of sell candles (red by default). Neutral zone - color of flat (gray by default). Body Width - candle body width when displayed on the chart. Shadow Width - candle wick width when displayed on the chart. Alert - enable/disable Alert. If true - enabled, false - disabled. Email - enable/disable sending e-mails. If true - enabled, false - disabled. Push - enable/disable sending messages to the mobile terminal. If true - enabled, false - disabled.